As usual, Manufacturers have launched 2019 BBCOR bat models at this time. We have spent a lot of times to test these bats and below are the bats that we think they are the best BBCOR bats for 2019. 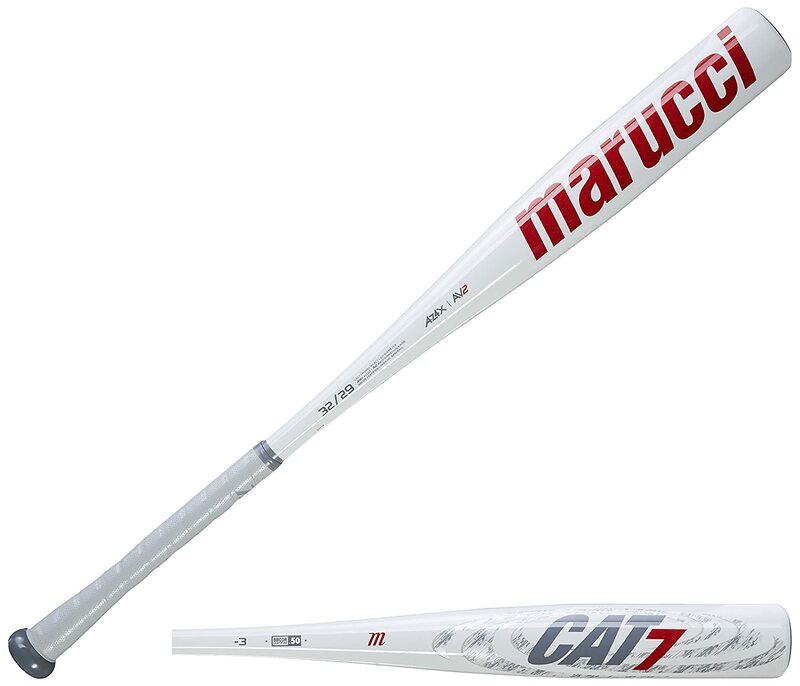 The top in our list is the Marucci 2019 CAT 8 Connect. You can check our reviews about this bat at here and don’t forget to check our 2018 bats list that we also recommended below. Why BBCOR Bats are used? How to take care the BBCOR Baseball Bats? 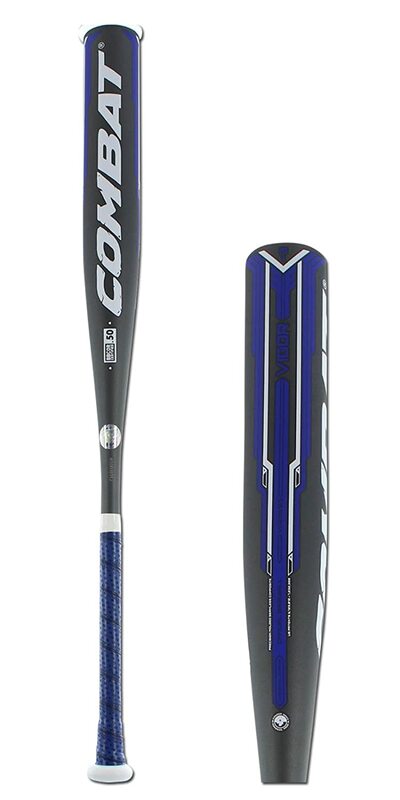 The Marucci 2019 CAT 8 Connect is one of the best BBCOR bats this year. Marucci has a long-held reputation of manufacturing some of the most stylish and optimal-performing baseball bats. This bat carries these trademark features of Marucci manufacture. This bat is constructed in a two-piece design and has a hybrid construction. The barrel of the bat comes constructed from super-strength aluminum alloy. Thanks to its alloy construction, the barrel features a multi-variable wall design which adds a significant amount of trampoline effect to it. In the hands of a power hitter, this bat delivers an explosive performance. Following the BBCOR regulations, the bat has a 2 5/8 inch barrel which is designed to have a ring-free structure. The lack of rings adds more consistency to the barrel and lets you channel the maximum amount of your hitting prowess through it and into the incoming baseball. The barrel connects with the handle through the Extended Shock Dissipating Connection. This means that any feedback stings from the barrel are significantly mitigated and you can be sure of a comfortable swing with this bat. To add to the comfort is the handle which is topped with a micro-perforated soft touch grip. Below are brief reviews of these bats along with their specifications and stand-out features. We hope that after reading these reviews, you will be able to figure out the bat that is just right for you. The Easton 2018 Beast X Hybrid is another excellent BBCOR bat that has made our top 12 list. This bat has been launched by Easton which is another leading manufacturer of all things baseball. The company has a reputation for delivering high-performing bats year after year. The Beast X Hybrid is no different. This bat features a two-piece hybrid design. Easton has used a high-grade premium alloy in the construction of the barrel. This alloy is coupled with a unique technology called Advanced Thermal Alloy Construction, or ATAC. Thanks to this technology, the barrel is unusually longer with a massive sweet spot. At the same time, the bat delivers a solid hitting potential when wielded by a power hitter. The overall design of the bat is perfectly balanced, allowing hitters to accurately control the swing movement and momentum. The handle of this bat is constructed from exact carbon composite handle. It connects with the barrel through the ConneXion+ technology. This ensures that any feedback vibrations from the barrel to the handle are muted to give you a smooth swinging experience. To top it, the handle comes with a default 1.4mm HYPERSKIN grip which adds to the stability and comfort of the grip. In accordance with BBCOR requirements, the barrel features a 2 5/8 inch profile and the overall weight-drop of the bat is minus 3. The DeMarini 2018 Voodoo One is one of the best-performing BBCOR bats of this year. Voodoo One features a straight-forward one-piece alloy construction. In other words, this bat is meant for the power hitters. If you rely on your hitting prowess to throw the baseball far, this bat is for you. The stiff one-piece design allows you to channel your swing power directly into the barrel. The barrel has a 2 5/8 inch profile and the bat is BBCOR certified. 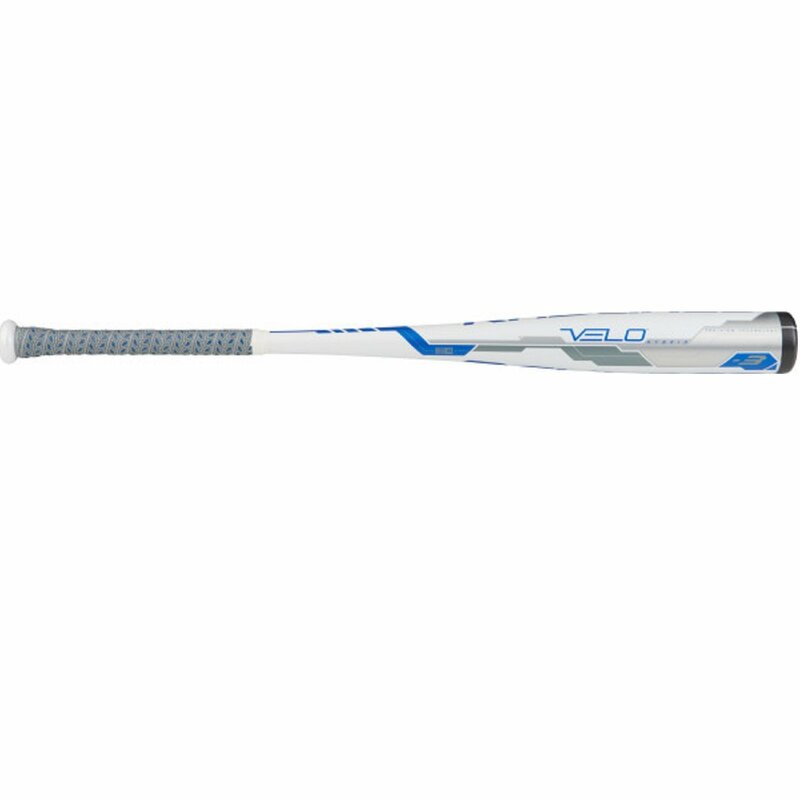 Voodoo One is also quite light-weight which lets you reach exceptional swing speeds when hitting with it. 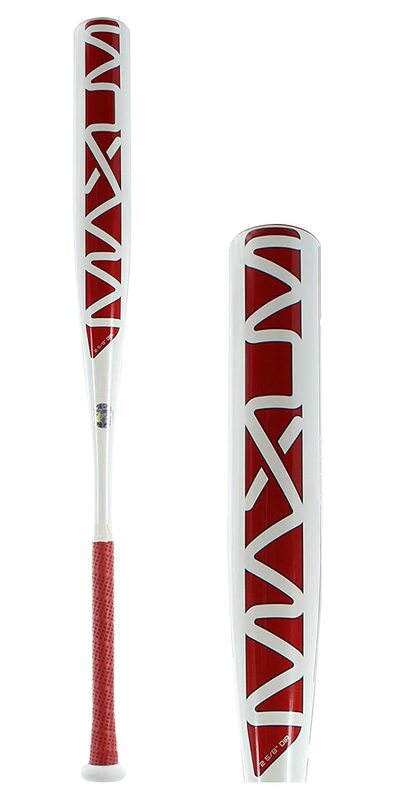 DeMarini has used a 3Fusion endcap on the barrel of this bat. The endcap lets you achieve greater control over the bat when using it on the plate. The overall length to weight ratio of the bat is -3, making it a good choice for college hitters. Like Easton and Macurri, DeMarini stands at the top of the list when it comes to baseball manufacturers that can be trusted. The company is known for offering baseball bats that combine performance, style and affordability. These qualities are well-reflected in DeMarini 2018 Voodoo One. The Rawlings 2018 – 5150 Alloy is another optimally-performing alloy BBCOR bat this year. Rawlings has constructed this bat using aerospace-grade 5150 alloy. This means that the bat combines all the strength and durability of alloy with the light-weight profile of the aerospace material. The alloy construction allows you to use this bat for some solid power hitting on the plate. If you are a power hitter, you can use this bat to hit the baseball hard and far without compromising the accuracy of your shots. The single-piece design of the bat also gives you peace of mind that your swing momentum will be directly channeled into the barrel. Rawlings has used Pop 2.0 technology in the construction of this bat. This ensures that the bat features an exceptionally large sweet spot, helping you achieve better accuracy when hitting with it. 5150 Alloy has an overall balanced feel which helps hitters swing the bat while retaining the weight control and momentum. The 2 5/8 inch barrel of the bat is in accordance with the BBCOR performance regulations. The collegiate version of the bat is offered with a weight drop of minus 3, well-suited to the collegiate baseball games. Rawlings bats are well-known for being one of the best in the baseball world. The 5150 Alloy follows on this tradition and is definitely one of the best BBCOR bats released by Rawlings to date. At number one, we have this top-class bat from Louisville Slugger – a brand that has produced some of the highest rated bats in the past. The company believes that while others make bats they make history. They have released some of the most innovative bats available in the market. Made with 100% microform composite material, Prime 918 has maximum pop and lightest swing weight. TRU3™ construction gives a comfortable feel and lesser vibration. The bat has their latest RTX™ end cap which offers a longer barrel shape. Their lizard skin grip just got an upgrade and is even more comfortable now. This 3-piece bat has a 2 5/8 inches barrel and a -3 drop weight. The barrel gives a balanced swing weight. It is BBCOR certified. Pros: This bat is one of the best bbcor composite bats. It has crazy pop, flexible and extremely durable. With Maxum baseball bats, Combat has pushed the limits. It has been able to engineer a bat which has 40% more hitting area as compared to hitting surface on other bats produced by other brands. This means that the sweet spot is huge and you are able to hit homeruns with your Maxum bat. Its precision molding technology perfectly tunes your baseball bat. Maxum has a seamless construction which enables it to have a consistent strength and performance throughout the bat. It has balanced swing weight as well. With a one-piece composite design, this bat is worth every penny. The bat is pre-wrapped in a lizard skin grip for increased comfort and lesser vibration. The barrel diameter on this bat is 2 5/8 inches and it has a -3 drop weight. It is a BBCOR approved baseball bat. 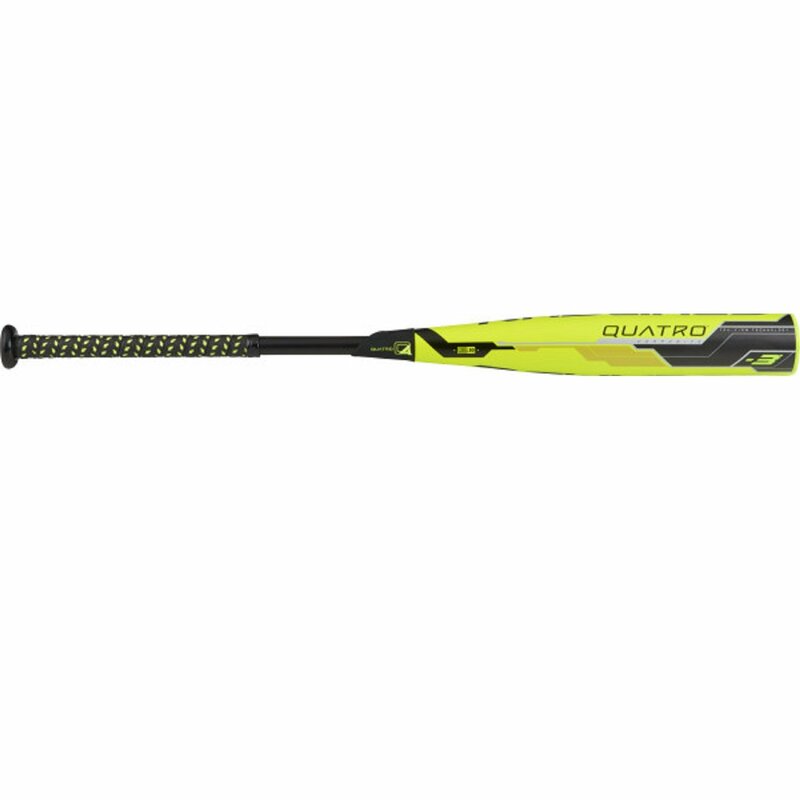 Rawlings has just dropped the 2018 version of their Quatro series baseball bat and it is even better than its 2017 brothers. The bat features two main technologies – Tru-View and Vibration Dampening Technology (VDT). As per Tru-View, Quatro generates incredible pop and more distance. With Vibration Dampening Technology it has enough flex to absorb vibration and give as less sting as possible. According to Rawlings, Quatro is most suitable for a middle order hitter who can control a barrel with greater length. Quatro has a two-piece design and is made up of carbon fiber composite material. It features a new end cap which keeps the bat light in weight. It comes with a 2 5/8 inches barrel, -3 lengths to weight ratio and an optic yellow grip for better handling. It has BBCOR certification. Although Select 718 is expected to release in September 2017, we have been able to gather enough information about this latest release from Louisville Slugger. 718 is considered to be an upgrade of Louisville Slugger’s 2016 Select 716 bat. There are a few new features that we wish to highlight here. To start off, the bat has a three-piece hybrid construction made using the revolutionary TRU3 technology. This technology helps in decreasing vibration. Select 718 has a ST 7U1+ alloy barrel and a composite handle. Alloy gives durability while Composite material gives power to this bat. The latest speed ballistic (SBC) end cap gives better control as well as swing speed. The bat has a slight end load swing weight. Its handle is covered in a Lizard Skin premium performance grip which gives great comfort, less sting and awesome feel. Select 718 has a 2 5/8 inches barrel diameter, -3 drop weight and it bears a BBCOR certified mark. Although there isn’t any new upgrade or unique features in the 2018 Velo baseball bat yet this bat doesn’t fail to grab the attention of baseball enthusiasts. Suitable for adults, the bat has a 1-piece alloy construction. Made with precision laser pop 2.0 technology the bat has increased bat flexibility. It features a stiff handle and a Comp-Lite™ Endcap. It has acoustic alloy which gives the loudest pop. The barrel has 2 5/8 inches diameter and it bears a BBCOR certified mark. It has a nice gray colored grip. 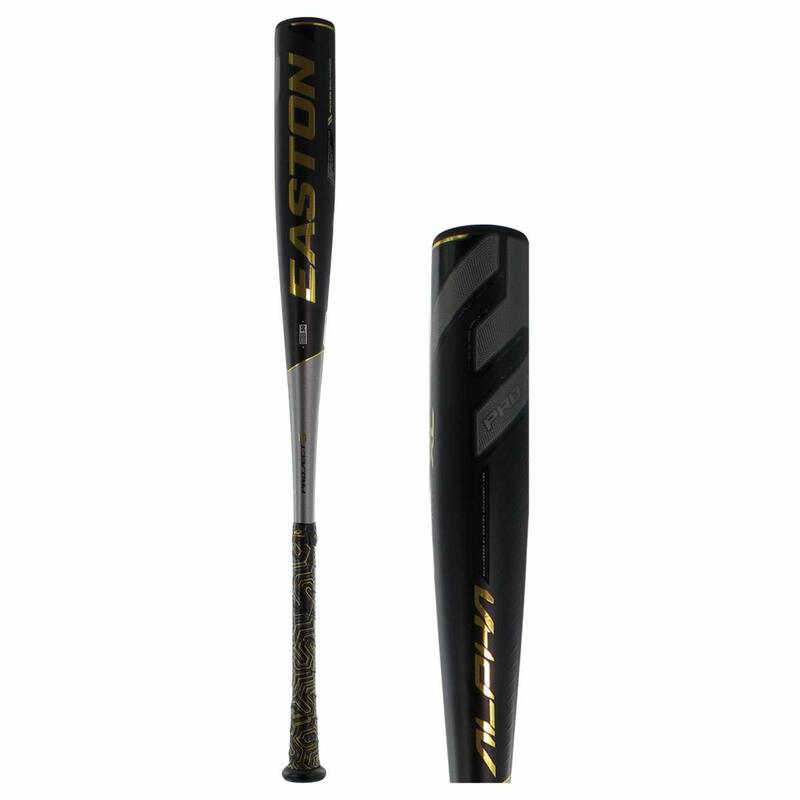 The newest release from Easton is out now and everyone loves this new baseball bat. It is none other than their Zcore Lock & Load bat. With revolutionary Adjustable Swing Weight Technology there are 3 swing weight options in one bat – no weight, pro balance and power loaded. This technology is first of its kind. The swing weight adjustability comes from the customizable end-cap. No weight end cap gives you the lightest swing weight and promotes pure speed. With pro balance end cap you get +300 points of MOI which translates into a heavier feel and more mass. Maximum power is achieved using the XL end cap or the power loaded option. You get +600 points of MOI. This gives the heaviest feel to your bat similar to that of a -2 drop weight. Zcore is constructed using HMX Hyperlite Matrix Alloy which is light weight and gives a huge sweet spot. It has a 2 5/8 inches barrel, thin tapered handle and 1.2mm hyperskin grip. The length to weight ratio is -3. It is a BBCOR approved bat. It comes with a Lock & Load Carrying case. Louisville Slugger is known for its high-quality aluminum bats. Their Omaha series baseball bats have been tried and tested by many. The performance on these bats is simply incomparable. This year the company released Omaha 518 -3 BBCOR Baseball bat. There are a few upgrades worth mentioning. The bat is constructed with ST 7U1+ alloy which is not only strong but it offers a huge sweet spot as well. Its one-piece design gives its stiffness unlike any other bat. Omaha features New 6-Star™ premium end cap which not only helps in easy grip but gives it a sleek and stylish look as well. It has a 2 5/8 inches balanced swing weight barrel. For reducing vibration and fewer stings the bat has a new handle design and a Lizard Skin premium performance grip. It has a drop weight of -3 and it bears the BBCOR certified mark. Finally, we have this beauty from Marucci – a brand that is “A Cut Above the Rest”. They have upgraded their Cat6 bat and it’s not just a new paint job. The company has introduced some new amazing features. To start off, Cat7 has a barrel that is double the size of Cat6. This was achieved using a 7-variable wall thickness design. The walls have gotten thinner which means a greater trampoline effect every time the barrel hits the ball. Cat7 is a one-piece alloy bat which allows players to achieve great responsiveness with a traditional feel. Their AZ4X Alloy is the strongest amongst others and has increased tinsel strength too. It has a 2nd Generation AV2 knob which ensures that there is least vibration on contact. The knob has an upgraded harmonic system which decreases sting. Cat7 comes with a 2 5/8 inches ring-free precision-balanced barrel which has no dead spots. It has a lower MOI and a -3 length to weight ratio. The bat is wrapped in a custom micro-perforated soft-touch grip. It is a BBCOR certified bat suitable for play in major baseball leagues. Now that you know the best rated bbcor bats for 2018. They are also known as the hottest bats on the market now. BBCOR comes refer to such bats which are constructed in such a way that they meet the BBCOR certification. BBCOR stands for ‘Batted Ball Coefficient of Restitution’ and this certification ensures that the performance of a BBCOR bat does not exceed a certain limit. 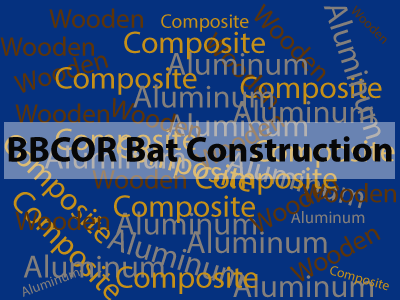 BBCOR bats can be constructed from composite, aluminum or wooden materials. As per the BBCOR certification, these bats must be constructed in such a way that there barrel diameter must never exceed 2 5/8 inches and their overall length must not be more than 36 inches. Also, the length to weight ratio of the BBCOR bats must not exceed -3. The bats that are constructed using these guidelines are then BBCOR-certified and become eligible for use in such leagues where BBCOR bats are required. When all you want is to hit that baseball like a pro who like has years and years of experience then all you may require is to use the best bbcor bats. Choosing the best, however, does not come on a silver platter, it can be very challenging and tough whether it is your first time or not. In line with our commitment, we would like you to get the most value out of your money, by giving you a guide on how to go through this process and have no regrets. The market is flooded with a variety of bats while the manufacturers have continued to modify these bats daily to suit your preferences and need and the right brand. Many players have confessed to suffer from brand loyalty. And due to this, we want you to get it right the first time you make a buy and so when brand loyalty comes knocking your door you will have nothing to worry. Here’s is a buying guide and what to look out for in the best bats. The recommended bat length by best BBCOR bats is range 29 – 36 inches. When you are looking out for one ensures that the length of the bat matches your height for great performance and comfort while playing. Length to Weight Ratio: There is certain length to weight ratio requirements for different leagues that you need to check. Are you looking for a heavy bat or you can swing a light weight bat only? Generally, a maximum length of 36 inches is permitted for bbcor baseball bats. Bats weight is measured in ounces. There are two types of bbcor bats; end loaded bat weight and a balanced bat weight. Bats with low weight will always give a fast swing speed as compared to heavy bats that will give you more power and strength. End loaded bats would be best for you if you love hitting wide and far while the balanced weight batters are best for young hitters. A good bat should have low swing weight to help you increase your swing speed. This is another key feature you should look out for. Bats barrel comes in different sizes to give different performance. A barrel is one of the most important assets in a bat reason being it is the place that comes into contact with the ball and determines the type of hit you will experience. You can either be able to hit afar and close or at a close range depending on the type of the size of the barrel. There is a direct relationship between players hit and the size of the barrel. The best bbcor bat should have a diameter of 2 5/8 inches. Is it a one-piece, two-piece or a three-piece bat that you are looking for? If you want more flex you should definitely go for two-piece or three-piece bats. For stiffness lovers, one-piece bats are the best. This type of bat is constructed using one material only. This makes the bat very stiff. The swinging force is directly transferred to the ball on hitting. The barrel and the handle are joined together and made from different materials, for example; composite handle and alloy barrel. This is to increase the barrel’s performance and reduce the vibration. These bats are stronger and more durable as compared to one piece bats. The weight of this bat is evenly distributed across the bat. This reduces the overall weight of the bat and giving the batter a fast swing speed. The weight of the bat is concentrated t the end of the barrel near the cap. This type of bat is hard to control. They require heavy batters who are able to use a lot of force when hitting the ball to generate a fast swing hitting the ball far and wide. They are highly recommended to experienced batters. Bbcor bat is made using wood, aluminum, alloy, composite and hybrid. Different materials give the bat different performance. This well illustrates why it is important to understand which the best bat material to go, its pros and cons when it comes to performance and most of all if it is an all weather bat. This will help you shop for the best. Some bats are also made of two or more materials in order to increase their performance, feel and experience while playing. Composite: These types of bats are made by mixing graphite and carbon materials. It is best for you as a player if you love to hit far and wide. Unfortunately, it is not a hot out of its wrapper and it will require breaking in from time to time until it can fully perform its best. Some leagues, however, will not allow the use of bats made of composite materials due to increase in performance over time. One of the biggest hitches of these bats is their inability to t withstand harsh weather, neither very high temperatures nor cold temperatures. Aluminum: Aluminum bats are very light in weight as compared to the rest. They give you the best trampoline effect, on hitting the baseball; the barrel will bend inwards and thrusts the ball outside at a very high speed. This will give you a great thrust force and allow you to hit very far. It is a hot out bat and does not require breaking out. Wood: old is gold. For centuries to date wood bats have been used by players all over the world and their performance is always one of its kind. The manufacturers have since then modified these bats to only having few parts in the bat composing of the wood to meet the required bbcor standards and remain competitive in the market as well as suit the player’s preferences. A solid and comfortable grip is required for a bat. The micro-perforated grip is among the technologies employed on bbcor bats to enhance better handling. This makes it easy to handle and use through the game. Irrespective of the period of play, having a comfortable grip ensures the player can concentrate better on the game hence better performance. The bat’s swinging speed is determined by length and weight among other factors. It is important to choose a bat that is easy and fast to swing as this enhances speed and better performance in the game. Vibration is a common occurrence in some types of bats. It is important to choose a bat that is created with anti-vibration technology, and this makes it comfortable to handle and use. Choice of material and design of the bat are among the factors that determine the cost of the bat. While it is an important consideration, quality, and other factors should be put into consideration while choosing the bat. It is important to seek for assistance in choosing the right piece from coaches and trainers before choosing the right bat. Drop in bats is generally the difference between the length and weight ratios. The higher the drop, the lighter the bat is and the lower the drop the heavy the bat is. The higher the drop weights the more power and swinging speed you will receive while hitting. A bat length is measured in inches and the weight in ounces. The difference between the two figures is the drop of a bat. A drop 3 bat should be approximately 30 inches in length and weigh around 30 ounces and never below. The best quality bats should have a minimum of drop 3. This is also the recommended bat weight by bbbcor standards. A drop 5 bat has more weight which will give you more swing speed and more while hitting the ball. You can get this bat in the market as either an end loaded bat or a balanced bat. The weight in a drop 8 bat is more and the length greatly reduced. If you love weight then you can consider going for this bat. They will give you more power and a great awesome speed while hitting the bat. You must have be a heavy batter who loves more and speed allowing you to hit far and wide. A drop 10 bat has the most weight when compared with the rest. Keep in mind that for a bbcor baseball bat, bbcor certification is of utmost importance. You cannot, at any cost, compromise at this! BBCOR certified bats bear a bbcor 0.5 certification mark. This mark is very important and everywhere it is checked before allowing the players to use these bats. Bbcor certification ensures that the trampoline effect is regulated so that the players remain safe while playing in professional baseball leagues. There is a strict condition for High school and college bats to have a BBCOR certified stamp on the right direction. For pony leagues bat with USSSA stamps are allowed. Whether you are a frequent buyer, or this will be your first buy, we always recommend a player going for the best bbcor bat brands. These bats have been constructed to fit all your needs and preference while playing from the bat barrel, sweet spot, handle, and the drop of the bats, manufacturer’s specs and the pros and cons of these bats. They will give you comfort and great performance while playing. Easton’s bats weight comes in well balanced while swing giving you a great performance. The bat produces very minimal vibration and transfers energy from the batter to the barrel very quickly while playing. The bat is made using the Thermo composite technology which gives you a great contact zone and a great speed. The bat has been ranked to having the lowest MOI ratio. The presence of 31/32 inch barrel handle helps the player to greatly focus energy on the ball while hitting the ball and reduce vibration in the barrel handle. The handle is wrapped with a hyper skin to give you the best grip in a high-speed swing; it also helps in keeping your hands safe from all form of injuries and burns. It has a diameter of 2 5/8 inches to enhance the sweet pot and lower moment of inertia. Despite this barrel being ranked among the best bbcor bats, it has a short life span and a player would be required to keep on buying a new piece every season. This is one of the best bbcor bat brands. Demarini has different designed models of bats that are carefully designed to suit different players’ preferences. The manufacturer has maximized on the bats power and performance while hitting the ball. The bats are light in weight and with a big barrel size that is just perfect to give you high speed while swinging allowing you to hit far and wide. The batter uses less energy as its vibration is also greatly reduced. It is available as a one-piece composite or two composite bats. The two composite bat works best for young baseball players as it has less weight. However, this barrel performs best if it is used in hot weather, it may thus not be the best toy for players who prefer playing during cold weather. The bat has continuously received the best review over the last three years consecutively. The one piece composite bat is fitted with SL alloy material which will transfer just the right amount of energy from you to the baseball. If this is your first barrel chances are high that you will buy and buy this bat season in season out due to its performance. It is a three composite bat brand with its pieces being joined together with FCS design. The handle of this bat is tailor-made to give you the best grip while playing keeping you safe from burns and relaxed. The use flex-band technology during manufacturing has given the bat the best swing weight to sweet pot ratios. The speed across the various bats varies. Among the best brands by Louisville Slugger are; prime bbcor 3 and ohama series, solo 617 among many others. It is a real game changer. It is manufactured using AZ4X alloy material. The barrel is well balanced to give smooth swinging and to offer more trampoline effect to the ball on contact. It has a large sweet spot with no dead ends thus giving you that great performance and experience. With the recent modification son this brand on its features from strength, consistency and great balance while swinging; it has drawn the attention of many players. It is a one-piece composite bat manufactured from composite materials. The large sweet spot offers a low swing weight. This barrel is best for great baseball hitters. Bats are made from different materials, from aluminum, hybrid, alloy, composite and wood. It is thus very important before you go out playing to consider the material of your bat. This will act as a guide top you which is the best weather to play in, for instance, aluminum bats can’t withstand temperatures below 50 degrees while wooden bats would have no effect in such cold temperatures. BBCOR bats come constructed from a variety of materials. Not all of these materials fare well in cold weather. In fact, composite bats are highly unsuited to very cold temperatures. Composite BBCOR bats may stop performing well in temperatures below 60 degrees and they will be at a higher risk of cracking if used in such cold weather. Aluminum bats, on the other hand, are able to withstand cold weather far better and may continue to perform well. The safest best for playing baseball in cold weather are wooden BBCOR bats. The performance of wooden BBCOR bats remains absolutely unaffected no matter how cold the temperature is. This means that during the winter season, you can rely on the consistency of your wooden BBCOR bat and can continue to play with it. BBCOR bats are used for a number of reasons. The most important reason is that BBCOR bats have a maximum performance limit. 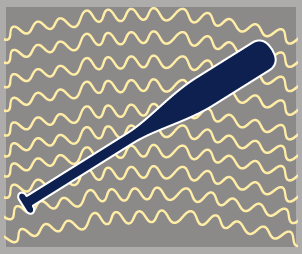 This means that the baseball hit with a BBCOR bat usually does not exceed a certain speed limit. Such limitation is significant because it ensures the safety of the players on the field. By ensuring that a bat conforms to the BBCOR certification, any league can be sure that its players are not hitting the baseball so hard as to put the players at the risk of injury. Taking good care of a BBCOR baseball bat is very important. For a start, many bat companies will follow the warranty process only if they are sure that you took good care of the bat. So how do you take care of your BBCOR baseball bat? When it comes to aluminum BBCOR bats, you need to make sure that you don’t use the bat in temperatures below 60 degrees. This is important because although an aluminum bat can perform well in such weather, the baseball gets hard and dense. And when you hit it with an aluminum bat, it can dent the bat. Another good tip is to make it your personal bat and not share it with the whole team or use it during practice sessions. For practice sessions, have a spare bat or if you must use your aluminum bat, use leather balls. For wooden bats, try to store it in a perfectly dry place. Also, wooden BBCOR bats tend to incur many small dents from hitting, which is perfectly natural. You can take care of this by rubbing the bat with a bone which will buff out the dents and smooth the surface. For composite BBCOR bats, store them in a dry and secure place. And do not use composite bats in extremely cold weather as this can cause them to crack. Aluminum BBCOR bats are constructed from aluminum or aluminum alloy materials. These bats are typically more cost effective than the BBCOR bats made from any other material. The advantages of using aluminum BBCOR bats are that these bats come with a very durable construction and they carry a significantly low price tag. Aluminum BBCOR bats are also not very heavy and are incredibly effective in the hands of a power player. These bats don’t damage easily and even in very cold weathers where composite bats are compromised, aluminum bats continued to perform well. One slight drawback of aluminum bats is that they tend to have a stiff structure and although that helps you channel the maximum amount of your swing momentum into the barrel, that also means that you feel sting or feedback on your hands when hitting with such a bat. Composite BBCOR bats offer top-of-the-line performance on the plate. These bats are made from composite materials and typically come with significantly high price tags. But that is because these are the top performing bats and let you hit hard and far. Composite bats come with a larger sweet spot compared to aluminum bats and they tend to be lighter. As a result, you are able to swing them fast and with accuracy when hitting and you are able to hit the incoming baseball more accurately. Another significant advantage of using a composite bat is that when hitting with it, you will feel minimum to no sting or feedback on your hands. A slight drawback of the composite bats is that compared to most other BBCOR bat materials, composite bats are more expensive. But if top performance is your top priority, buying a composite BBCOR bat is a sound investment. A point to remember regarding composite BBCOR bats is that you can’t used them in very cold weather. 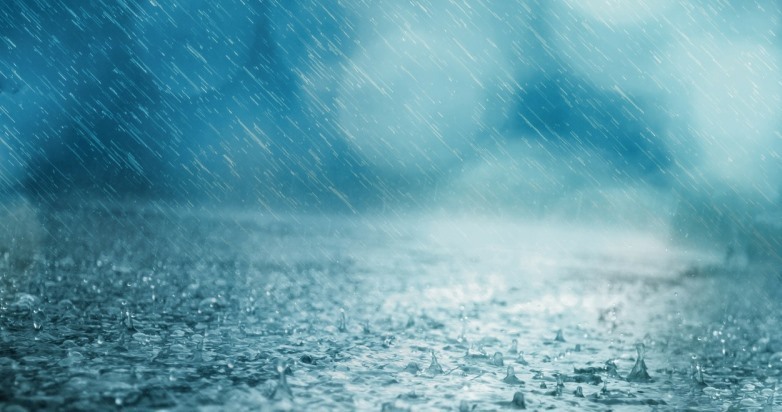 They stop performing very well in cold temperatures and are prone to damage quickly if used in temperatures below 60 degrees. Wood BBCOR bats are constructed entirely from wood and carry the classic traditional look of a baseball bat. One of the most overwhelming advantages of a wood BBCOR baseball bat is that they tend to be less expensive that composite or aluminum bats. Although the wood bats are usually lighter than aluminum bats, they are heavier than composite bats. Wood baseball bats may come with durability issues and only the best quality wood BBCOR bats can last as long as aluminum or composite bats. In order to choose the BBCOR bats which is perfect for you, you need to determine your preferences. These include a look at your budget, a look at your hitting needs and your hitting style, as well as your taste. For example, if you are very low on budget and yet want to go with a good enough BBCOR bat, a solid wood BBCOR bat will fit the bill nicely. On the other hand, if you have no money cares and simply want the best, top-performing BBCOR bat, you should choose from one of the composite BBCOR bats. In terms of your hitting style, if you are a power hitter and rely more on your own hitting force, an aluminum bat can very well suit you. An aluminum BBCOR bat is very effective in channeling that force into the barrel and letting you hit farther. If you want to rely more on the trampoline effect and the performance of the barrel to do the job well, you should go with a composite bat. If you have already perfected your hitting style and know that you can hit accurately without relying a lot on the performance of a barrel, perhaps a wood BBCOR bat would be a better choice since it suits expert hitters better. At the end of the day, it is all about what you need in your game. The Rawlings Quatro composite bat is a BBCOR baseball bat meant for use in high school and collegiate matches. This bat comes constructed with a carbon fiber composite barrel. As a result, the barrel of this bat is a solid hitter and offers a lot of pop. To make things even better, Rawlings has optimized the barrel using Ultimate Flex. Thanks to this technology, when you swing this bat a whip effect is generated from the handle to the barrel, adding more flex and speed to the barrel upon contact. This lets you hit the incoming baseball harder and farther. The bat also comes with a True-View technology, letting you see the real composition of the bat. The handle of this bat comes with special vibration dampening technology which means that you will feel no sting on your hands while wielding this bat. Additional layers of silicone on the collar further enable you to get a solid grasp on the handle while swinging it on the plate. The bat is available in 32 inch, 33 inch and 34 inch length options with corresponding weight options of 29 ounces, 30 ounces and 31 ounces. The DeMarini Voodoo Insane End Loaded bat is one of the best BBCOR bats for High School and Collegiate baseball games. This bat comes in a hybrid construction, so that the barrel of the bat is made of aluminum while the handle is made from composite material. In other words, this bat combines the best of the aluminum and composite materials. An aluminum barrel means that this bat is ideal for a heavy hitter. If you rely on the force of your swing when hitting the baseball, then you will find that this bat is a great hitter. With the aluminum barrel, you can channel the maximum amount of your swing force into hitting the incoming baseball. At the same time, the composite handle lets you add some whip effect to the bat’s swing, adding to the speed of your swing at the time of contact. The bat features an end-loaded design. With some practice, this will let you swing the bat quicker and control the swing momentum more accurately. The bat features a weight drop of -3. The aluminum barrel is ideal for power hitters. The bat is inexpensive compared to composite bats. End loaded design is great to give you more momentum during swing. The aluminum barrel does not offer a lot of flex. It may take you a while to master the end loaded swing momentum of the bat. The 2017 Combat Vigor baseball bat is one of the absolutely best high school and collegiate BBCOR bats this year. This bat comes with a fully composite one-piece design and packs single-walled barrel construction. As a result, the bat offered a sizable barrel with a large sweet spot which offers a lot of pop upon contact. The single-walled construction also ensures that the barrel offers a lot of trampoline effect, letting you hit farther with this bat. The single piece design means that the bat is perfectly consistent in its construction so that you can rely on the performance of this bat. 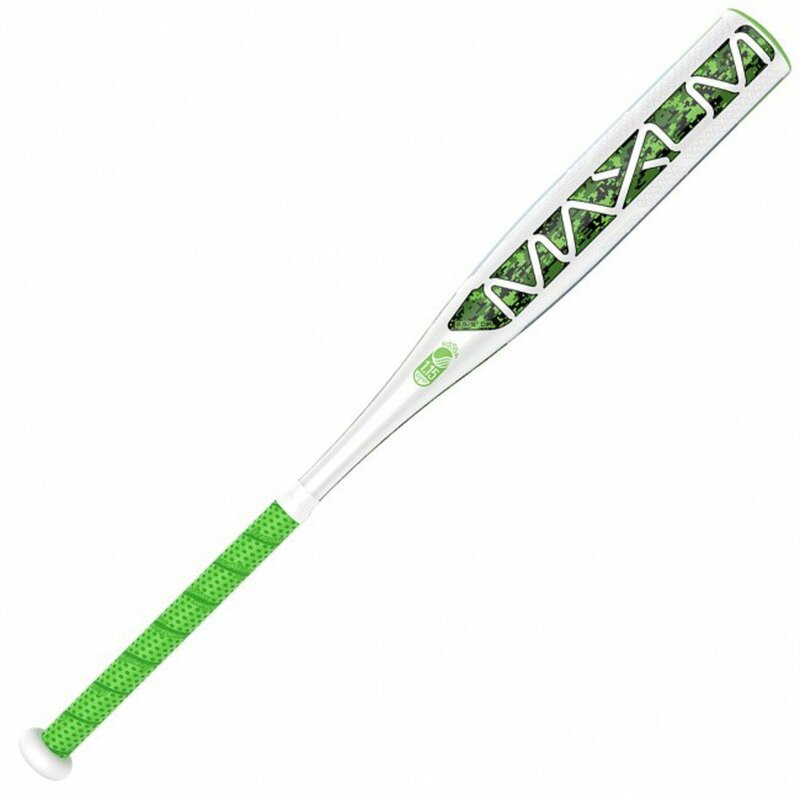 Combat has included an Ultra-Premium Lizard Skins grip on the handle of the bat, so you will feel little to no feedback when hitting the baseball. Single-walled barrel not suited to a power hitter. The bat takes a while to break in, so you can’t use it right out of the wraps. 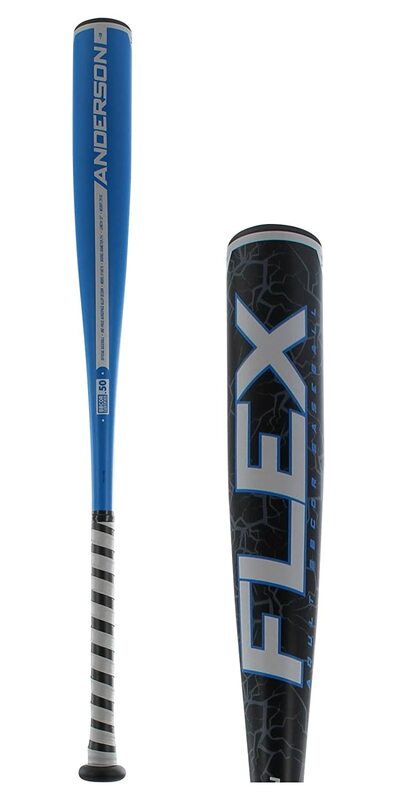 The 2017 Anderson Flex bat is meant for use in High School and Collegiate baseball matches. This bat comes constructed from aerospace-grade aluminum material, making this bat not only incredibly durable but also light-weight at the same time. So not only can you swing this bat at a great speed, you can also remain sure that this bat is not going to sustain any damage anytime soon. The bat has a fairly large sweet spot packed with extra mass to let you hit the incoming baseball with greater force. It has a 2 5/8” barrel and a weight drop of minus 3. High-grade aluminum construction means that bat is incredibly strong and light-weight. Aluminum may not be able to perform as well as top composite material. 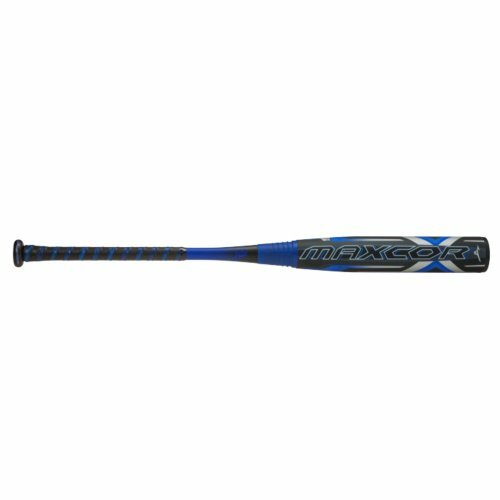 The Mizuno MAXCOR is a BBCOR certified baseball bat that comes with many cutting-edge innovations. For a start, Mizuno has used Hot Metal aluminum alloy in the construction of this bat which significantly increased the size of the sweet spot. Mizuno has also included a special VP sleeve on the surface of the barrel. This adds life to the baseball and lets you hit the baseball into a greater distance. The handle of the bat packs a Supra-Helix Premium Grip, letting you grasp the bat firmly while at the same time, mitigating any feedback on the handle. The bat has an incredibly innovative design. The VP sleeve is a great feature and lets you hit the baseballs farther and harder. From the latest DeMarini CF BBCOR series, 2017 CF Insane (Endloaded) BBCOR (-3) or WTDXCIC is designed for players who are looking for bats with end load swing weight. This BBCOR bat consists of 22% stronger Paraflex Composite 2 5/8 inches barrel as compared to DeMarini’s previous barrels. This barrel helps in achieving a better distribution of weight throughout the bat, offers great pop and durability. The barrel is joined together with a D-Fusion 2.0 handle that keeps your hand away from sting and transfers the energy generated at the time of the contact back to the barrel. To give a better control of the bat and optimize the swing weight, Low Pro End Cap and RCK Knob are connected to the handle. This bat has a -3 drop weight. This two-piece composite model bears a BBCOR stamp and is approved for play in High School and Collegiate leagues. Louisville Slugger is back with their 2017 BBCOR baseball bat series and this time their bats are even better than before. 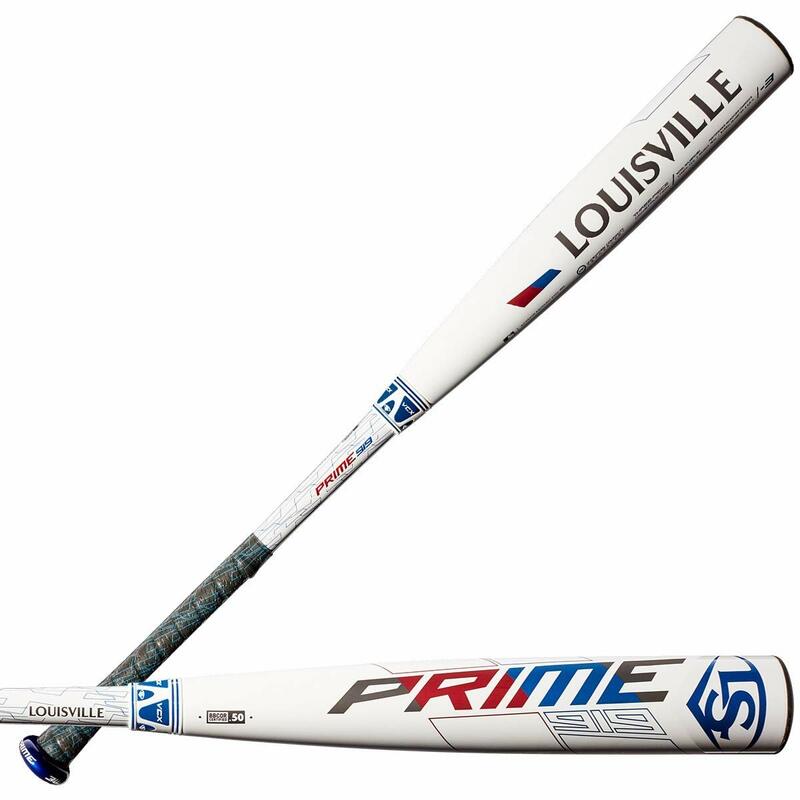 Louisville Slugger Prime 917 is made up of a 2 5/8 inches barrel that has Flex Band Technology. This technology allows the bat to have thinner walls and massive sweet spot at the same time. This barrel is connected with the 31/32 inch tapered handle via the New & Improved TRU3 Connection. This offers more durability and better feel to the bat. The handle is covered in a Custom Lizard Skins Grip for comfort. Prime 917 is a FCS (Fused Carbon Structure) Composite, three piece design. A 1″ composite disc is inserted in the bat in order to make it according to the BBCOR standards. With the help of this disc, thin barrel walls are achieved. These thin walls offer trampoline effect while swinging the bat. This bat has a -3 Length to Weight Ratio and is a BBCOR certified bat. You can use this bat for High School and Collegiate play. 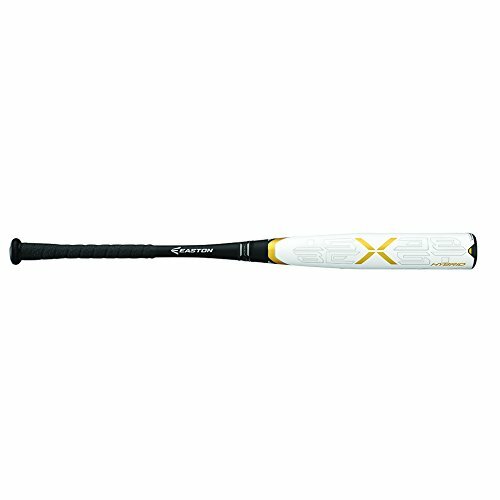 COMBAT SL7MX112 Senior League Baseball Bat is the latest BBCOR baseball bat from Combat that is here to surprise its MAXUM series lovers with all the more incredible features. This bat is manufactured using Precision Molding Technology which offers great performance and consistency throughout the bat. It also has a Seamless Construction that gives uniform strength to the bat. Combat claims that MAXUM has 20 – 40% Larger Hitting Surface versus Competitor Models which means that it has a much larger sweet spot as compared to others. The company also provides that this bat has up to 38% Swing Weight Reduction on Average which makes it one of the lowest swing weights available in the market. The bat has a 2 5/8 inches barrel and a handle that is wrapped in Lizard Skins Grip which feels great and which prevents slip. It has a -12 drop weight. COMBAT SL7MX112 is a one-piece bat that has BBCOR certification. Additionally, it bears USSSA 1.15 BPF Stamp. 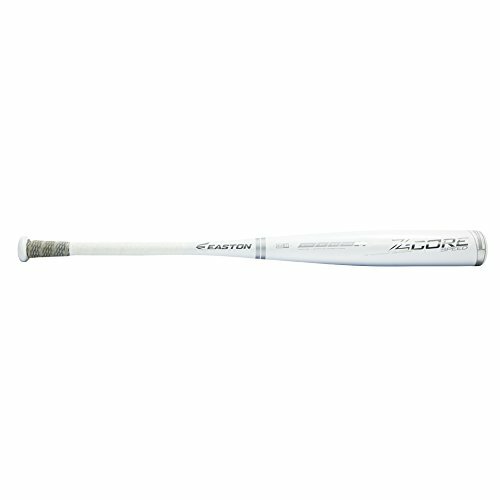 Easton BB17ZSW Zcore Speed White baseball bat continues the Power Brigade Series legacy from Easton. This bat features Z-CORE Internal Core Technology that is characterized with producing massive sweet spot. It has a one-piece HMX (Hyperlite Matrix Alloy) Construction with a 2 5/8 Inch Barrel and a 31/32 inches tapered handle. The handle is covered in a 1.2 mm HYPERSKIN Grip. ZCORE Speed, as the name suggests, is built with Lower Swing Weight and Faster swing speed. This gives more ping and greater feel. It has a -3 length to weight ratio. It is a BBCOR certified bat that is approved for High School and Collegiate Play. Baseball is a common game in high schools and colleges. Safety and comfort of the players are of paramount importance and hence the need to select the best bbcor bats 2019. This is a great way to enhance the performance of the player and as well ensure endurance irrespective of the time spent with the bat. To finish off, keep these factors in mind, make a check list and go out there to look for the bat that fits perfectly according to your specifications.